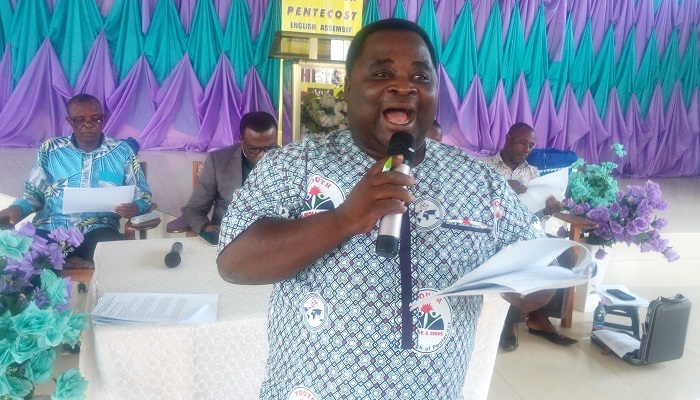 To ensure appropriate and prudent management of church finances, the Assin Foso Area of The Church of Pentecost, under the leadership of Apostle Sylvester Arhin, has organized a one-day seminar for Ministers, District Secretaries and Finance Committee Chairmen at the Foso Station English Assembly auditorium. Opening the event on behalf of the Area Head with an exhortation titled: ‘Responsibility’ (Daniel 6:1-3, Matthew 24:45-47 and Daniel 1:1-4), the Mempeasem District Minister, Pastor Patrick Gyamfi Osei-Appiah said that the prime reason for appointing people to various positions and offices in various institutions is to ensure that the appointing authority does not suffer loss in the institution. He emphasised that those who excel in their service, like Daniel, are always preferred over others. “Daniel distinguished himself among the lot because he had an excellent spirit or exceptional qualities and so the king preferred him above all others,” he said. 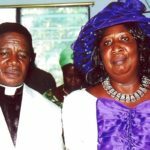 Pastor Osei-Appiah further stated that Daniel distinguished himself from the others because he was Prayerful, Trustworthy, Focused, Principled, Wise and Knowledgeable and a Perfectionist. He, therefore, encouraged the participants to work hard and to be faithful in all their financial dealings to ensure that the kingdom of God does not suffer a loss with regards to its finances, especially in an era where there are widespread counter teachings about Tithes and Offering. In his presentation, he advised participants to adhere to all financial policies of the Church since a breach of any one of them may attract various sanctions which are sometimes unpalatable to the offender. He also cautioned them against source or off-record expenses since they contravene the Church’s financial policy. The Adiembra District Minister, Pastor Antwi Boasiako, also gave an update on the performance of the various districts in Tithes and Missions Offering contributions. “A cursory look at the actuals realised so far demands that we double up our steps to ensure that we complete the year on a high note,” he said. The Area Secretary, Pastor Emmanuel Abugri, and the Area Deacon, Elder Amankrah Agyapong, also took turns to re-echo details of the ministerial welfare practices and the need to support ministers to accomplish their God-given visions in their respective Districts so as to attract the needed blessings associated with them. At the end of the seminar, all participants resolved to work harder to ensure an increase in all facets of the Church’s finances. In all about, 63 persons, comprising Ministers, District Secretaries, District Finance Committee Chairmen and Area Office Staff, took part in the seminar.